Freediving in Tenerife. Ever tried it? 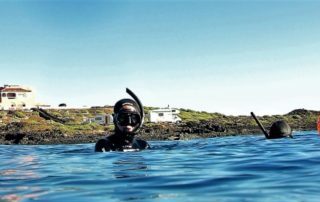 Ever wondered what a freediving holiday in Tenerife would be like? Well, it’s a tough job, but this year myself and a fantastic group of freedivers decided to find out! So, did we like it? Would we recommend it? 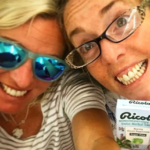 Find out what we got up to, and decide for yourself! 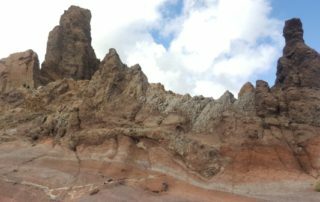 Freediving in Tenerife: Why Did We Choose To Go Freediving in Tenerife? At Go Freediving, we usually organise two freediving holidays abroad per year. 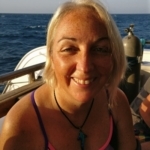 We normally have our liveaboard holiday in Egypt and a longer haul destination. In recent years we’ve been freediving in the Maldives, the Bahamas, the United Arab Emirates and the USA. 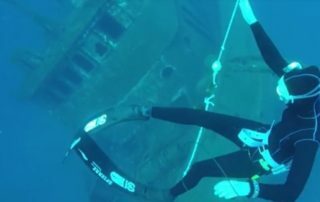 These were amazing freediving holidays, but the time it took to get there was understandably off-putting for some. So, I wanted to find a destination that was closer, but still offered some winter sun and awesome diving conditions. I narrowed this down to the Canary Islands, finally settling on Tenerife. 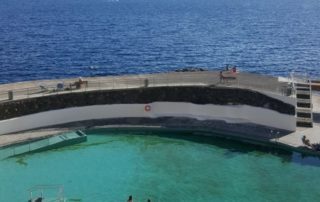 Freediving in Tenerife: Where In Tenerife Did We Stay? Co-ordinating with Scuba Travel, our appointed ATOL registered holiday representative, we chose the small town of Tabaiba. 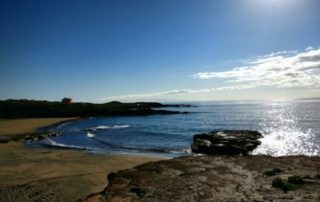 This area of the island has the calmest waters, making it perfect for freediving, and also has a stunning wreck to freedive on just offshore. Tabaiba is not a tourist destination so has a relaxed local flavour, with incredible (and cheap) restaurants in the village itself and in the local marina which is a short walk away. Check out the two maps below to see exactly where we spent our time. The first map you can zoom in and zoom out (+/-), the second map is a 360 degree map too, so just click and drag left or right to check out the area – and the gorgeous views! 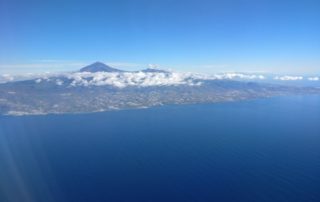 Depending on your home location and days of travel, you fly into either airport in Tenerife. 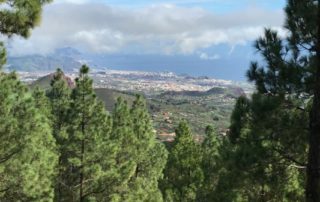 Due to the small size of the island, transfers are short and easy, taking 30 minutes if you arrive into Tenerife South Airport and 15 minutes if you arrive into Tenerife North Airport. There is also usually the option to fly from regional airports in the UK. 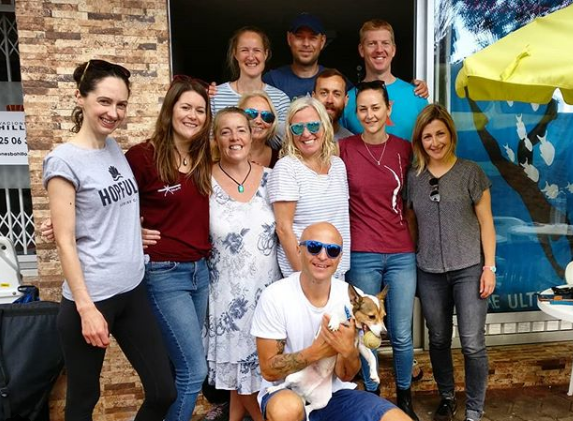 Tabaiba is home to Atlantis Freediving, an established local dive centre who we partnered with for the week and who supported the logistics of our freediving in Tenerife. 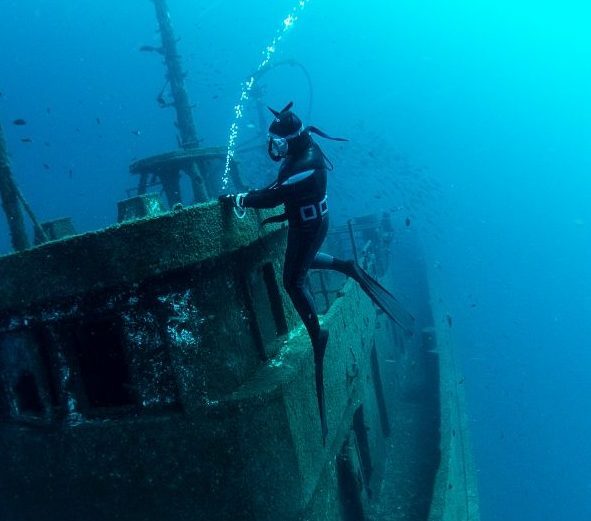 Not only is Tabaiba an authentic, untouristy location, there are plenty of local dive attractions in the area, including an incredible wreck just offshore. 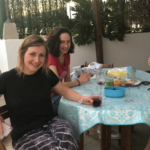 We stayed in self catering apartments, one of which was directly above the dive centre and this gave everyone maximum flexibility to eat in or out depending on what suited them. 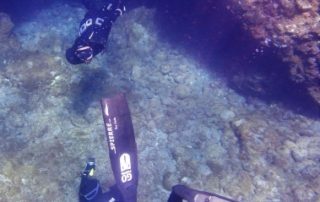 With the dive centre, accommodation, shops, restaurants, wreck, and perfect sea conditions, it made freediving in Tenerife easy as well as really enjoyable, and perfect for beginners as well as those more experienced in freediving. 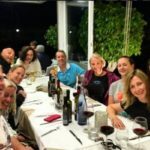 Freediving in Tenerife: What Was The Purpose Of The Trip? 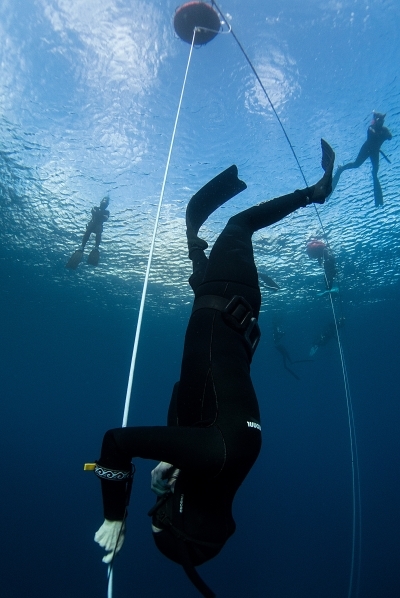 First and foremost we wanted to go freediving in Tenerife as a training holiday. This meant we did not run any certification courses. 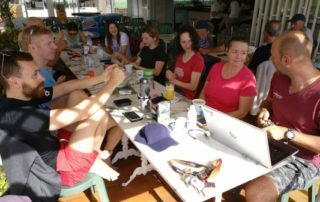 Instead we focused on daily dives, using the pool for static training, practising yoga and also attending freediving workshops (more about this later). The holiday also attracted a lot of our freedivers who had taken, but not yet passed, the RAID Freediver course. 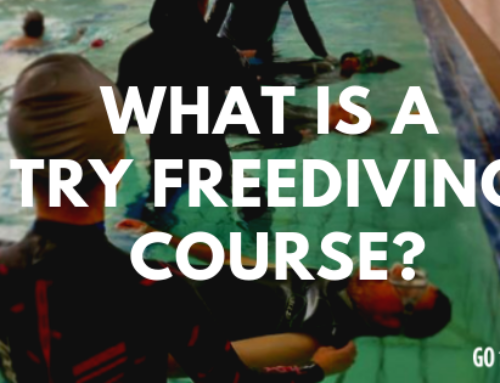 For many people, it can take a while to learn how to equalise headfirst and at the speed you need when freediving as opposed to the leisurely pace of scuba divers as they descend in water, usually feet first. 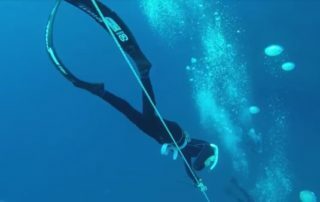 The advantage of going on one of our freediving holidays is that you have a whole week in warm waters to practice and perfect your equalisation and other freediving techniques. 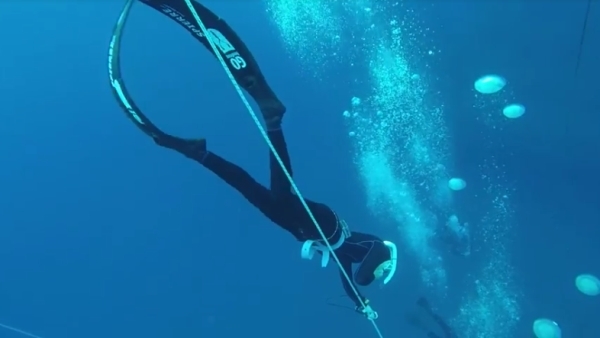 With twice daily training sessions on the freediving lines on offer in Tenerife, as well as static and dynamic training available, there is plenty of opportunity to immerse yourself in freediving. 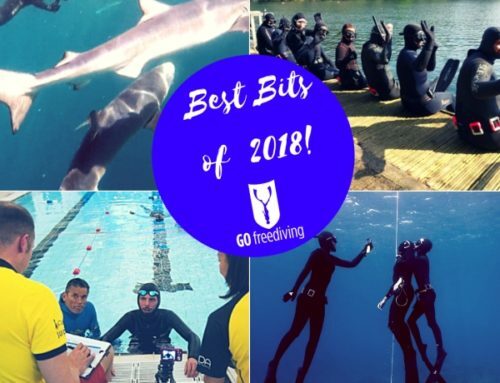 In addition there is a recreational freediving trip to go on if you fancy a change of underwater scene – more on that below too! 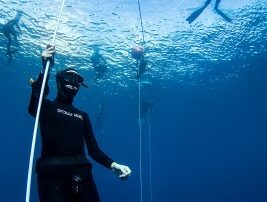 Freediving in Tenerife: What Was The Structure For The Week? 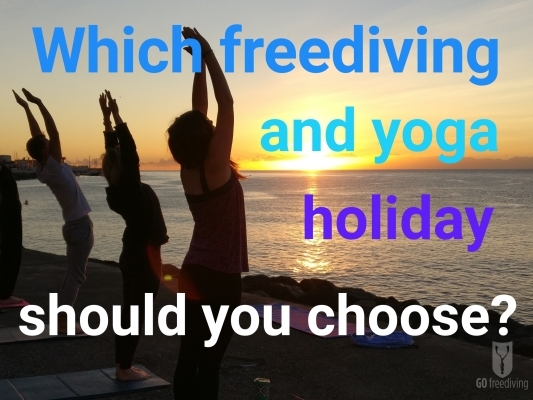 All diving, trips, excursions and yoga were entirely optional (it is a holiday after all!). Some people did it all and some took half rest days. 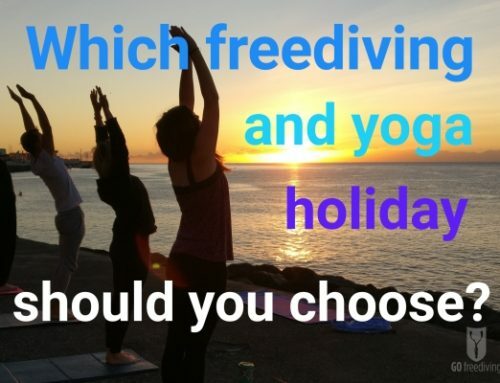 The options on a landbased freediving holiday such as this means you have the freedom to engage in some independent holiday activities if you wish. One of our freedivers even used the opportunity to catch up with family living on the island! 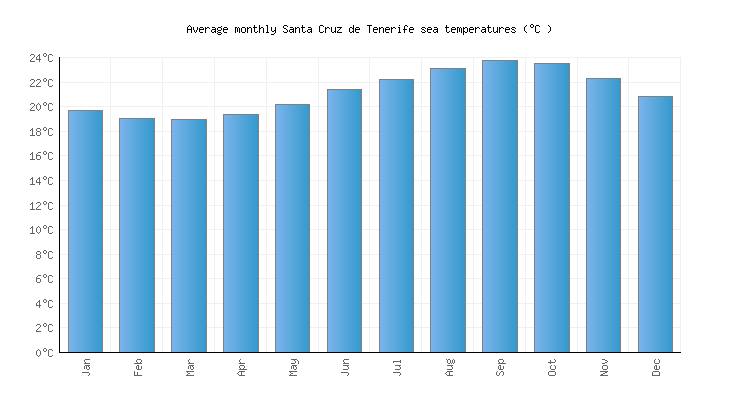 Freediving in Tenerife: What Were The Weather Conditions Like? 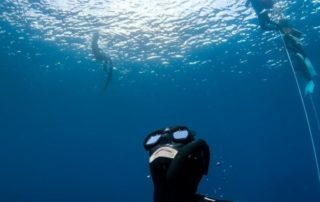 We chose to go freediving in Tenerife at the beginning of November. 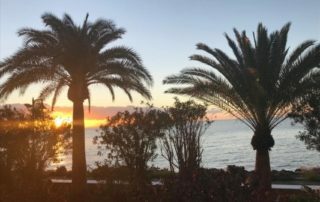 The Canary Islands are famous for year round sunshine and warmth, although the winter time can still have some cooler days. The weather was sunny (but we did have one day of rain and incredible rainbows!) 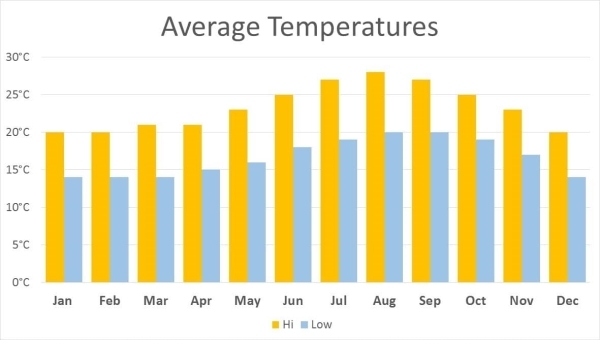 and the average temperature was in the mid 20s. 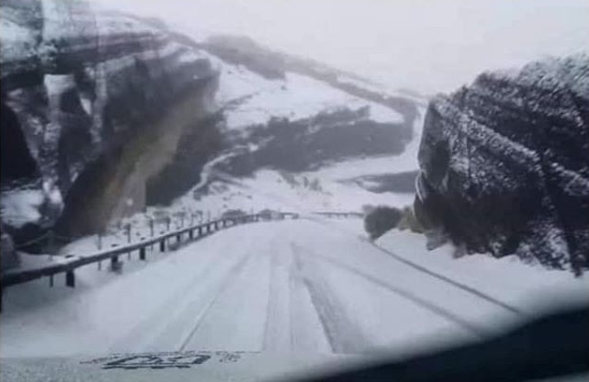 Because of the volcano in the centre of the island having such a high elevation, even when we were in our bikinis on the beach, some of the roads had snow! The water temperature was around 20 degrees – so not cold diving, but certainly cooler. 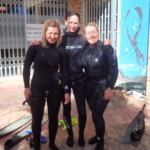 Everyone wore 5mm wetsuits which is what we would recommend for anyone diving at this time of year there. The water is also exceptionally clear and so when line diving on the wreck we could all see it from the surface. Freediving in Tenerife: What Marine Life Did You See? 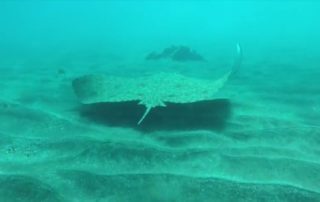 Freediving in Tenerife was a completely different experience in relation to marine life than some of our other freediving holidays, including multiple sightings of Butterfly rays which even the most underwater traveled of us had never seen before! The wreck in Tabaiba that we trained on every day was sunk as an artificial reef and diving attraction so attracted a huge variety of reef fish. Closer to shore in the shallows were also rays and schools of smaller fish. including cuttlefish, Barracuda and a huge amount of Trumpet fish and Pash even managed to rescue a Sea Hare! 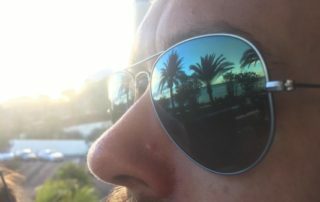 Freediving in Tenerife: What Was The Recreational Dive Trip Like? The recreational trip was to the beautiful area of Abades. Ordinarily, the trip offers the opportunity to dive with turtles. However, due to the local university who is responsible for the care and wellbeing of the turtles, undertaking a treatment programme for the turtles, the turtles had been removed. We were notified of this in advance, so were not in the least bit disappointed, especially as there were so many other awesome things to see there. This was a shore dive which took in a variety of underwater landscapes. 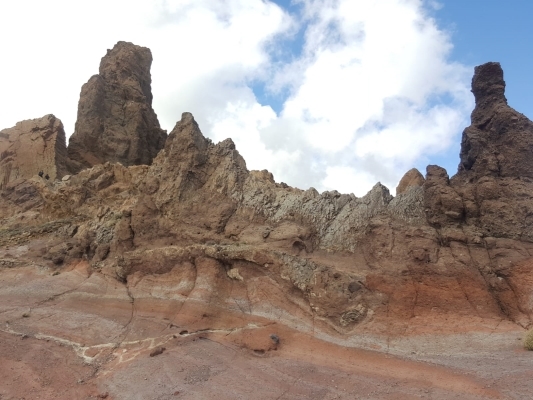 There was sand, sea grass, swim throughs and volcanic structures. We freedived with reef fish as well as pelagic fish such as barracuda, and butterfly rays. There were also smaller creatures including a sea hare. 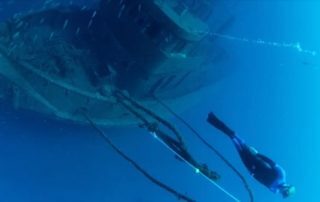 Freediving in Tenerife: What About The Wreck? The Tabaiba Wreck Dive site is a shore dive site that goes by several different names including El Raton, Tabaiba Wreck, El Penon and more! They say this boat has actually sunk three times! The first time when it was docking The Canberra – a British Ocean Liner. The tug-boat used to operate in the harbour of Santa Cruz until it was finally decommissioned and sunk intentionally. 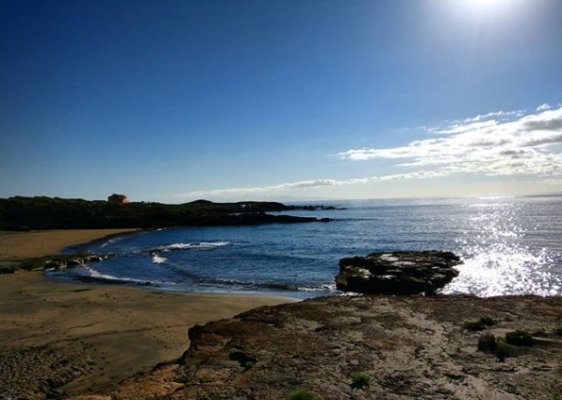 It has since been purposely cleaned and adapted to be accessed and explored as a dive site and is often used as a Spanish freediver training site. 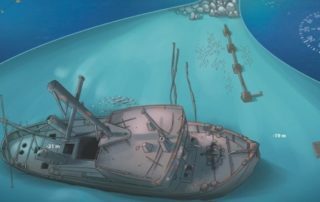 Check out this awesome video of the wreck – It’s another 360 degree wonder! 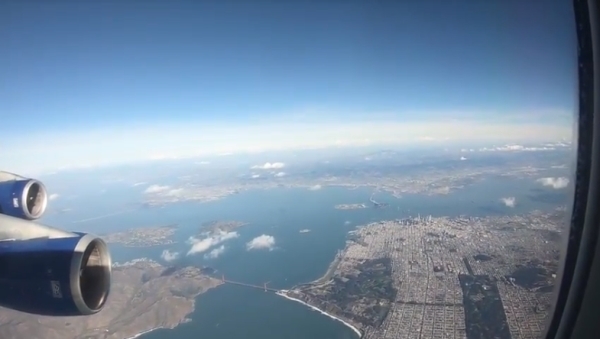 So click and drag the mouse (or swipe) on the screen to choose your view while watching the video. Each day we did our line diving training on the wreck, a short swim from the shore in Tabaiba where we were staying. 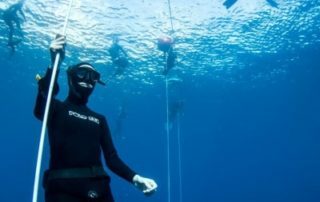 Freediving in Tenerife: What About The Equalisation Master Class Workshop? 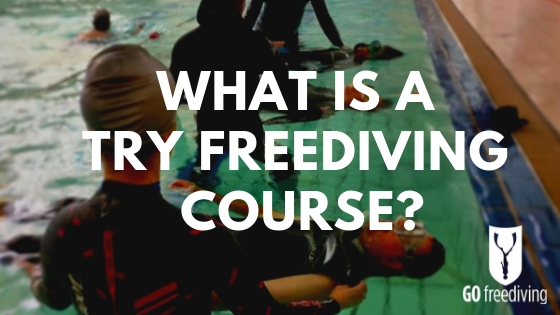 I have been freediving since 2000, but this has never stopped me wanting to learn and improve, so I was very keen to join the class and encouraged everyone else to do so too. The class covered everything about equalisation, tailored to each person and their needs, and then we had our minds blown when they introduced the Uba Project EqiTool. It showed via an app, exactly what each person was doing when they equalise and what they needed to work on. I am in the process of writing blog all about it, so watch this space! 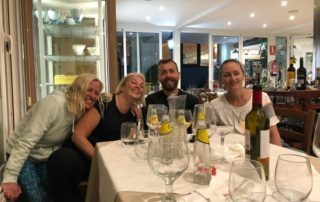 Pavol, who ran the workshop for us, then gave each person specific exercises to help their equalisation which made a huge difference as the week progressed. The holiday also had lots of free time too, and this was where people could tailor the holiday to their own preferences. Russ is a keen cyclist so brought his bike with him to explore the island (though it was a tougher challenge than he expected!) Some people walked to nearby fishing villages, and Sandra and Claire went on a whole day guided trip around the island which included a trip to the top of the volcano, the crater area around it, which was apparently like the Grand Canyon, the Teide national park nature reserve and a vineyard for some very important wine tasting! 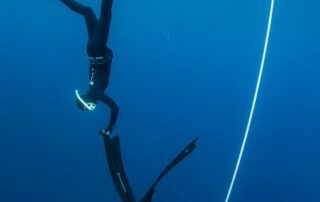 Freediving in Tenerife: What About the Yoga? 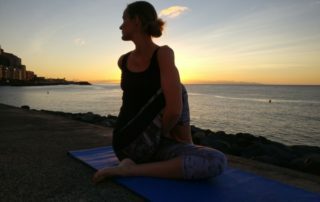 Yoga is always an option on our freediving holidays, both hatha yoga, which is about movement and what you normally think of when you hear the word yoga, and yoga nidra, the form of deep relaxation you do lying down (our favourite kind!). 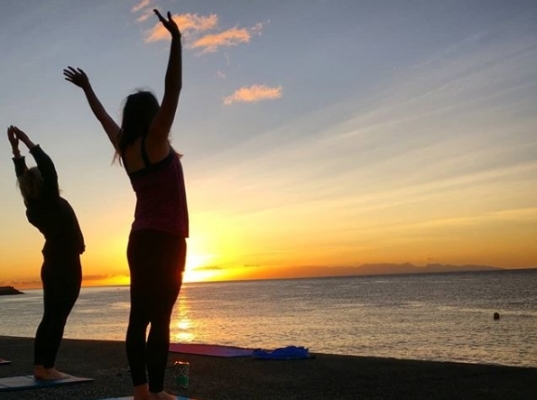 Both forms of yoga were available on the holiday, but with most people going out each evening for drinks, dinner, fun and games, there was much less yoga nidra than on a liveaboard holiday. 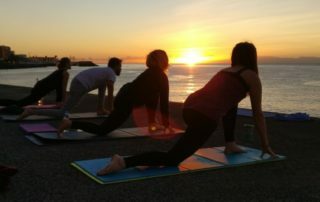 And for those wanting a lie in after a big night out, there weren’t often people wanting to get up bright and early for some sun salutations! 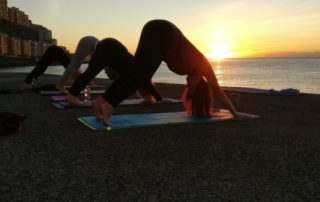 Those of us who did get up however, were rewarded with yoga right by the water whilst watching the sun rise over the sea. The yoga on all of our freediving holidays is suitable for all levels, including absolute beginners. Some had never done yoga before and some practice regularly when back home. 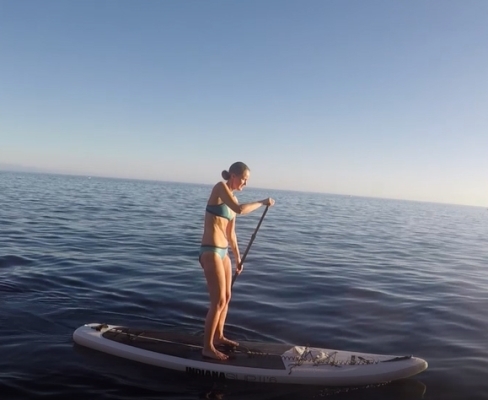 Freediving in Tenerife: After freediving, how about paddleboarding followed by a massage?! The dive centre had SUP (stand up paddleboards), that many of us took advantage of during the week and once we’d used our muscles, we had a massage from a local therapist. Just what you needed after a hard day having fun! 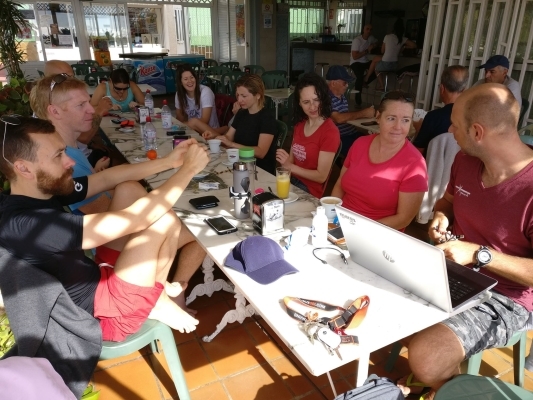 Needless to say, our holiday freediving in Tenerife was a huge success and we’re already planning our next trip. Check out the dates and book on now! 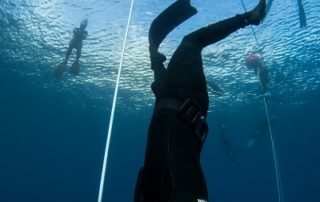 So What Did Everyone Think About Freediving in Tenerife? I have been diving in the Red Sea a few times so I wanted to try a new location which is why I decided to go on this trip. This holiday I have learned a lot more about my equalisation technique. 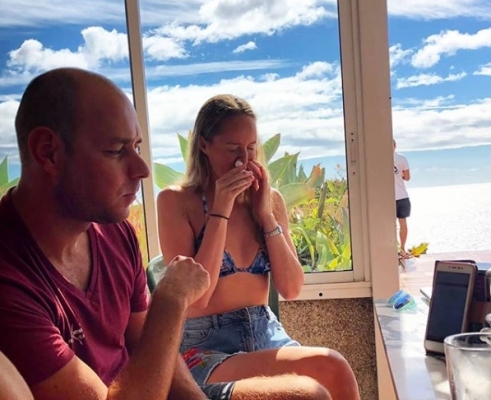 We got to try a new electronic equalisation tool called the Uba project which showed everybody how they equalise and what pressure they require to equalise both their ears. I was quite surprised to learn that I didn’t need very much pressure, I only needed about 8 hectopascals where as a lot of the other people needed about 50-60 which was very interesting. I have also learned some new techniques with the Otovent , circular breathing and how to close my soft palate and then open it again, who knew you had a muscle there?! I have also learned how to refill effectively, do a mouthful and then dive constant pressure equalisation which I practised on land and then put into practise in the water. I also reached a new personal best in constant weight freediving. 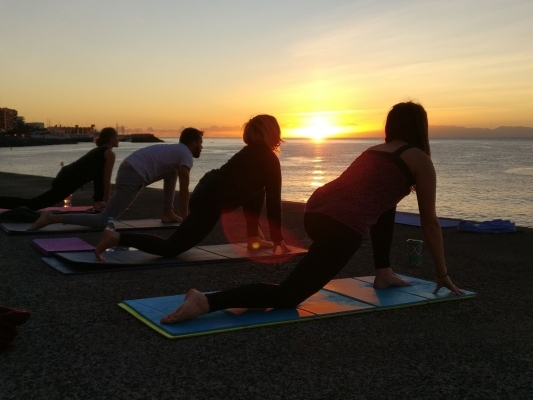 The equalisation workshop was definitely a highlight for me, also the yoga next to the sea as the sun came up was great, that was something you just don’t get on every holiday, and I got to dive with great friends. 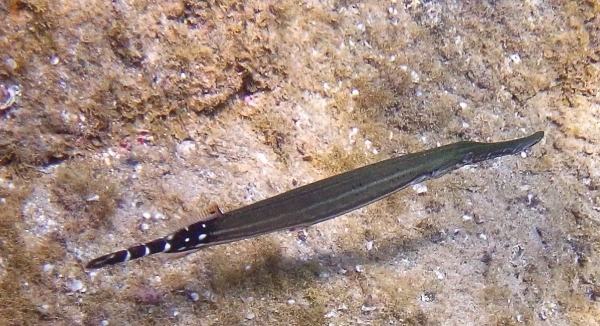 We took a trip to recreationally dive in Abades and the fish life there was more varied. 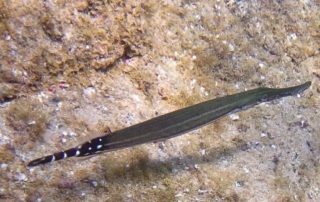 I got to see Butterfly ray, which I have never seen before, as well as cuttlefish, Barracuda and a huge amount of Trumpet fish. There was a lot of fish in the shallow areas and I got to rescue a sea hare. I think everyone enjoyed that trip, it was a bit more recreational and not so disciplined which was very nice. On the trip you get to benefit from having four instructors, each with their own ideas and techniques which was very interesting. Having someone who knows the area very well was very good and the visibility was amazing. The weather has been fantastic. I wanted to practice and improve my freediving and also gain more confidence in the water. I wanted and needed a holiday. I am always working so I wanted a holiday where I could focus on my freediving and achieve something. 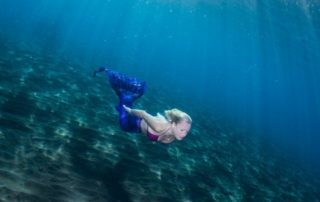 I do mermaiding, so I wanted to improve my mermaiding skills and improve my breath hold and confidence within freediving. I got the opportunity to do a photo and video shoot that was amazing and unexpected, it was really cool. It was great for me to just destress. 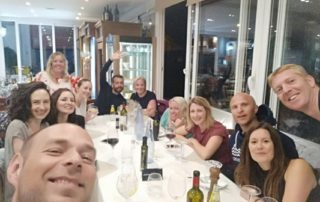 I love an adventure so it was great to meet new people and we all got on really well so getting to share this experience with such a great group of people was a highlight for me. Another highlight was being able to get some depth and feeling comfortable getting the depth and not putting myself through any pain in my ears. I started the week going head first in the water and we have adjusted it so I can start getting the feeling of how to equalise, when it’s working and when it’s not working. That is something I get to take away with me and work on and practise before I come on the next freediving trip. I think that I am just going to stay at this level if I don’t practice at home. 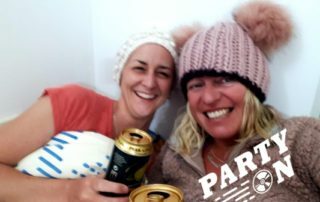 The nights out have been fun and we have had a really good time in the evenings. 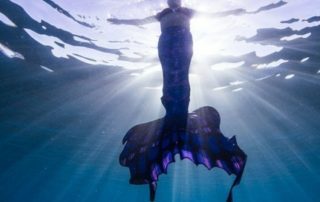 I really enjoyed that Emma and Pavol took some time out with me for a photo and video shoot with my mermaid tail. I didn’t expect that, I bought the tail along to have some fun if there was time, so that was really special for me. Emma will always go the extra mile for anyone and all you have to do is ask. 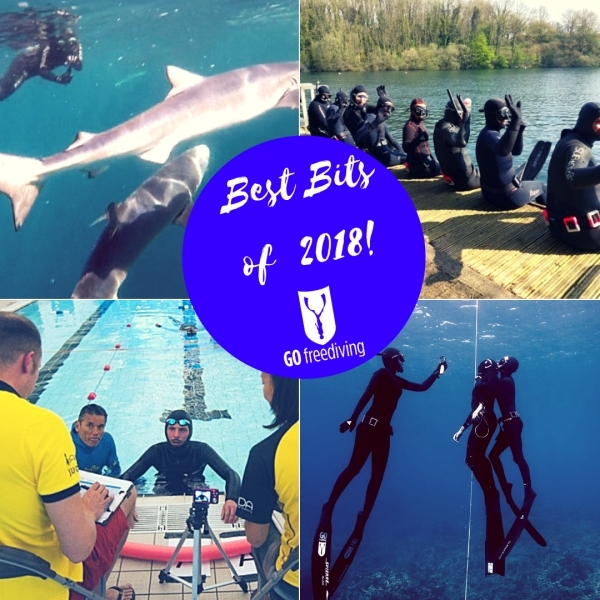 I came on the trip for the opportunity to improve on the skills that I learned on my RAID freediver course , and the opportunity to meet like minded people in a nice location at a good price. The whole package just appealed to me, freediving every day, getting to hang out with freedivers every day, and the sunny weather. Everything just ticked the boxes really. The trip has absolutely exceeded all my expectations. It has been awesome! What I found extremely interesting about the trip and the group and that was a bit of a confidence boost, was that everyone has an issue with their freediving. Whether it’s equalisation, or confidence being at depth, it just shows you that when you are personally struggling with something you don’t have to feel so bad about it because everyone is struggling with something. There is always a solution and it is just about perseverance, being patient and practicing. It has been really nice for me just going out with this particular group because everyone had struggles but everyone has made progress on the trip and that has been really nice. The option to do so many dives in so many different sessions was the biggest highlight for me. It was good to get to see the different approaches and everything was really well set up. The opportunity to holiday with fellow freedivers where freediving was the main focus, it was a rare opportunity. 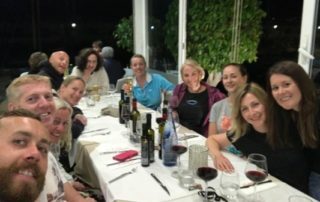 My previous experiences with the freediving holidays and Emma is what made me come on this trip. I was hoping to get some depth and improve my techniques and I got a personal best on this holiday. I have discovered that relaxation and learning to just chill is important. The highlight for me was the group, there was a really nice dynamic. The trip will definitely help you to improve in a relaxed atmosphere while enjoying yourself. The recreational trip to Abades was good, it was nice to do some shallow dives and see the wild life and it was a good part of the week. The whole week was really good. I came on this trip to get more experience at depth and just to have a holiday as well. I have discovered that I need to trust my capabilities more and step outside my comfort zone a bit at a time. The highlight of the trip for me was getting a new personal best, and I got to meet new people. The trip has been relaxed and definitely ended on a high for me with my new personal best. The dive was relaxed and comfortable, I got to come off the line so I achieved a depth and got to swim over the wreck a bit. The Canaries is a lovely place and as an added bonus I got to see my Dad who lives here which was lovely. To come to a place where the water is calm and warm and with the best bunch of people, it has just been such a blast. I have discovered how amazing diving is on this trip and that you need to pay attention when you are down there because it is absolutely beautiful. There was loads of information on the Frenzel technique which was very helpful in terms of understanding the mechanics of your equalisation. I got to learn so much which was great and I also got to have a super chilled time which was so nice. 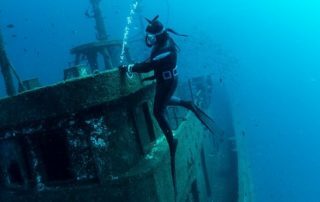 Being on the wreck was absolutely amazing and definitely the highlight of the trip for me. The benefits of the trip are that it’s close to get to, fairly cheap and there is lots to learn without any pressure. I took a trip around the island which was amazing; beautiful scenery and absolutely chilled out. 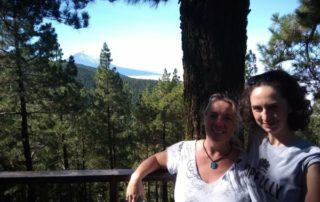 The landscape is just stunning, we got to some shopping and some wine tasting as well. It was the most beautiful day out to get to see the other side of the island. Of course I would recommend the course, first and foremost the group of people, feeling very safe in a secure environment. Tenerife is is easy to get to and not so far away. 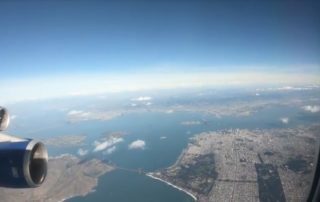 The trip is very relaxed, and even though we learned a lot, I never felt under any pressure to do anything. I enjoyed the recreational trip to Abades as well. 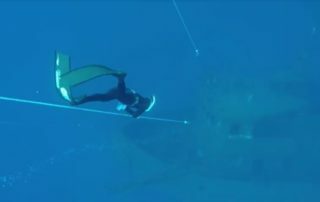 I have done the two day RAID Freediver course at Vobster and I wanted to do the trip from the minute I saw the email. I don’t get much chance to freedive in London at the moment and I really want to keep my freediving journey going. I thought at first that I am a total newbie and everyone is going to be so good, but it wasn’t like that at all. Everyone has really mixed abilities and it was absolutely brilliant. Doing this trip has helped me discover that I can do so much more than what I thought I could, and how important relaxing is in freediving. Just get out of your head and enjoy it! The best part for me was the day when it was raining while we were in the water and there were rainbows everywhere. I just swam down and reached my personal best of 15m which I never thought I could do and it was just incredible. The people on the trip are amazing and you get to practice your freediving much more that you do at home. You get to see that you are completely different one day to another which is good as it is a completely different experience. I think you are just a bit more relaxed doing it over a period of seven days rather than two or three days. 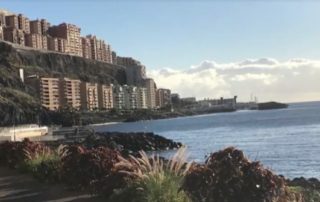 I booked on the freediving holiday to Tenerife because I needed to get away from the office and have a relaxing fun break somewhere warm! 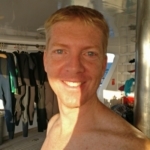 I’ve previously been on the Red sea liveaboard holidays with Go Freediving. 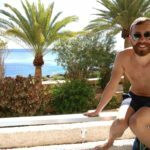 The biggest discovery for me was that I could freedive pretty well after consuming alcohol the previous night! The highlight of the trip for me was the group atmosphere. It was a great dynamic and lots of fun. We had an excellent equalisation workshop where we got to try the Uba project equalisation tool and learn exactly what is going on inside us for our equalisation. It was a great masterclass for anyone of any level, really interesting and certainly helped focus what I thought I knew. The recreational diving trip to Abades was lovely, just wish I could have dived deeper that day but I had a bit of sinus congestion leftover from a cold I had in the UK. The accommodation was fine and there were some good restaurants locally, we definitely found the best ones. 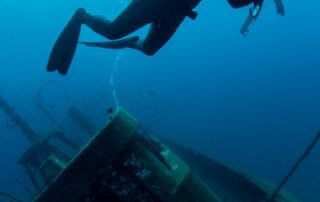 The centre and location were perfect for the type of diving; depth training on lines but with a wreck to look at too. 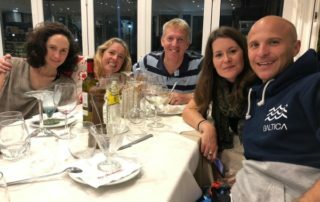 The benefits for someone coming on this freediving holiday to Tenerife is the concentrated training which will certainly help your diving, the relaxing venue, and the excellent and knowledgeable instructors. I also took my bike and did a couple of long cycle rides. But don’t bring your bike unless you have stronger legs than mine as the hills are really steep! 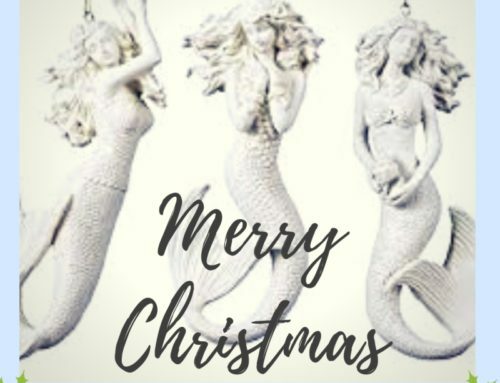 I went on the Red Sea liveaboard freediving holiday in March and that experience was just so great and I loved it. I heard that some of the people from that trip would be on this holiday as well, so I booked on. 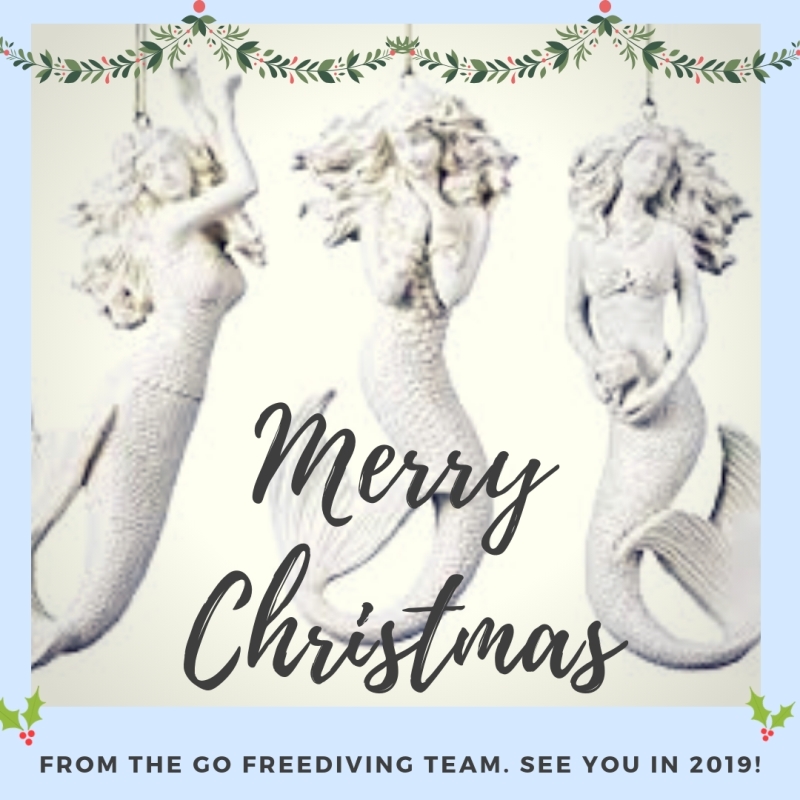 This week has helped me progress, as the only other freediving I have done was on the liveaboard and I didn’t want to go through the whole year without any other diving. It was great to learn more about equalisation techniques and my breath. 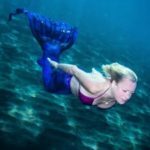 I have definitely improved my freediving! I don’t have one specific highlight because the whole week has been so amazing. Each day is quite different with different dives with different people so everyday has been brilliant. 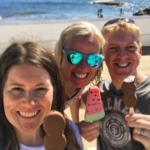 Claire and I took a trip to see a bit more of Tenerife with Pavol as our guide and the experience was amazing. 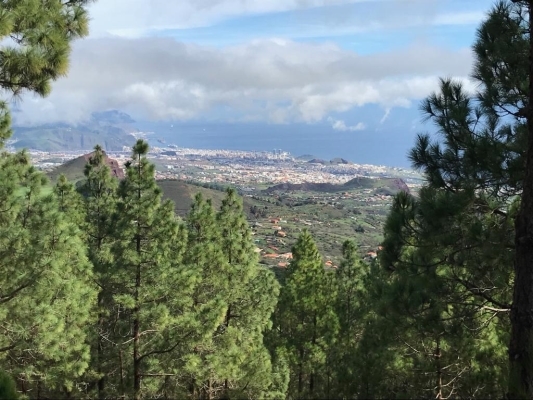 The scenery in Tenerife is spectacular! I had no idea it was that vast, it is beautiful and indescribable. The location here for freediving is perfect and the dive spots are perfect for every kind of level. The weather and the accommodation have been great. You are away from the tourist spots so the area is beautiful. You can go and explore the island or go shopping in the nearby towns, there is something for everybody on the island.